at higher altitudes. If the Earth-width and Sun angle measurements are used to calculate the attitude, the resulting discrepancy in attitude using the spherical model will be at least as large as the deviation in the nadir angle, which is significant in certain geometric situations. If the Sun angle is combined with a horizon crossing measurement, the problem becomes more complicated because the relative position of the Sun plays an important role. The effect of the atmosphere on sensor triggerings was discussed in Sections 4.1 and 4.2. In this section, we are primarily concerned with the atmosphere as it affects the spacecraft orbit and attitude. For additional information on the Earth's atmosphere, see, for example, Craig  or Ratcliffe [I960], An interesting historical reference is Mitra . Summary atmospheric density tables are given in Appendix L.
The accuracy of upper atmosphere model densities in current atmospheric models is about ± 50%, and may be much worse in some regions, such as near an altitude of 120 km where there are few measurements. In addition, the upper atmosphere density is strongly affected by the solar flux in the extreme ultraviolet, and this flux varies with the level of solar activity (see Section 5.3). This level is riot entirely predictable, so that predicted densities will have more uncertainty than will historical densities. The independent variable in describing the mean structure of the atmosphere is the altitude. Figure 4-19 shows the mean temperature distribution between the ground and 500 km. The nomenclature used to describe various regions of the atmosphere is based on the temperature profile, as indicated in the figure. The elevated temperature between the tropopause and the mesopause is due to the absorption of ultraviolet light at wavelengths from 0.2-0.3/im by ozone, and the increase in temperature above 100 km is due to absorption of extreme ultraviolet light at wavelength from 0.2/tm down to X-rays by nitrogen and oxygen. 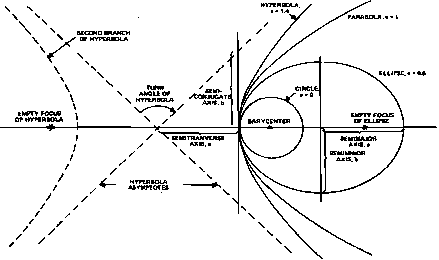 Eventually, the heat conductivity becomes so large that an isothermal region called the exosphere is formed. The temperature in this region is called the exospheric temperature, Tn. Above about 1500 km, the ionized component of the atmosphere becomes predominant; this region is called the magnetosphere, and its outer boundary is the magnetopause. The magnetopause is formed by the interaction of the solar wind with the Earth's magnetic field (see Section 5.1), and lies at a distance of about 10 Earth radii on the day side and at least 80 Earth radii on the night side. is the altitude. The quantity kT/mg is known as the scale height, where m is the molecular weight, g is the acceleration due *o gravity, T is the temperature, and k is Boltzmann's constant. In the altitude region below the turbopause (about 100 km), the atmosphere is dominated by turbulence (sometimes called eddy diffusion), which causes mixing. In a mixed atmosphere, the density of each constituent is a constant fraction of the total density (independent of altitude), and the density falls off with a scale height characteristic of the mean molecular weight of all the component gases. Above the turbopause, turbulence ceasc- and each constituent diffuses according to its own scale height, resulting in what is known as diffusive separation. 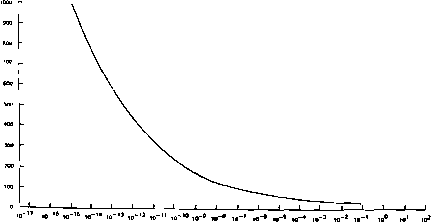 The lighter gases, of course, have the larger scale heights and become a larger fraction of the total composition with increasing altitude, resulting in the change in the slope of the total density curve. The major atmospheric constituents below 1000 km are 02< N2< O, and He. i Representative minor constituents in this altitude range and above the turbopause I are 03, C02, H20, NO, electrons, and positive and negative ions. Table 4-5 gives j the atmospheric composition in the turbulent region, showing only those con- i stituents which are mixed. 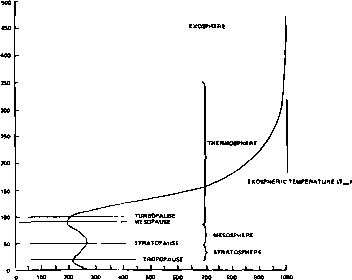 The most important minor constituent for attitude f determination is C02 because of the infrared radiation described in Section 4.2. i C02 is believed to be mixed [Hays and Olivero, 1970] up to the turbopause. Above the turbopause the C02 density is determined by both diffusion and chemical reactions. Chemistry is a factor in controlling the densities of some atmospheric constituents. Reactions between the various constituents are called photochemical because they are generally induced or catalyzed by sunlight. Many minor con- ! stituents are controlled by photochemistry rather than by diffusion, and their profiles do not at all resemble diffusive profiles.